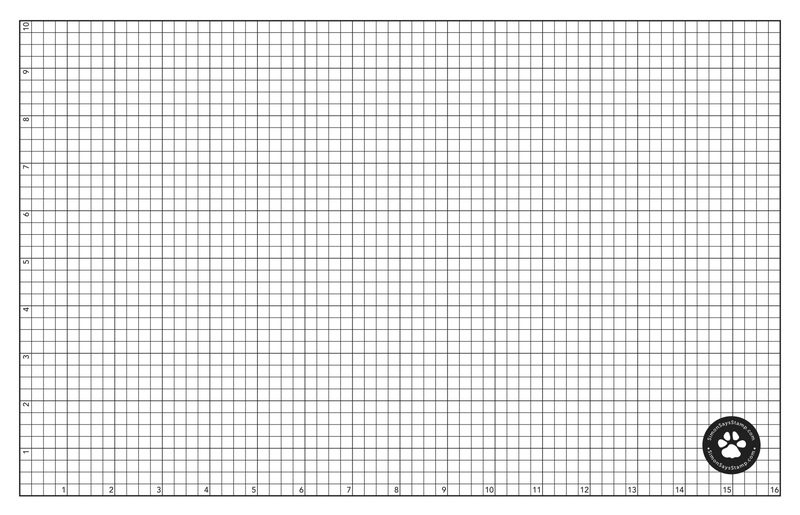 Today I’m taking a look at the new Altenew November release. This post is part of a blog hop (more details below) to celebrate the latest release. The new products are available at both Altenew, and Simon Says Stamp. 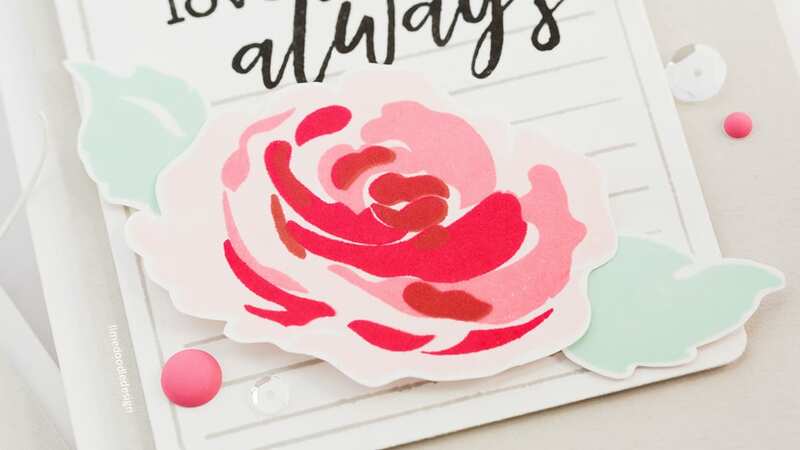 There’s more information on the blog hop below, but for now, let’s take a look at what’s in the new release. I’ve linked all supplies at the end of this post. Compensated affiliate links used. Am I too predictable? The Story Of Us set has a beautiful layered floral and I’m always a sucker for florals! 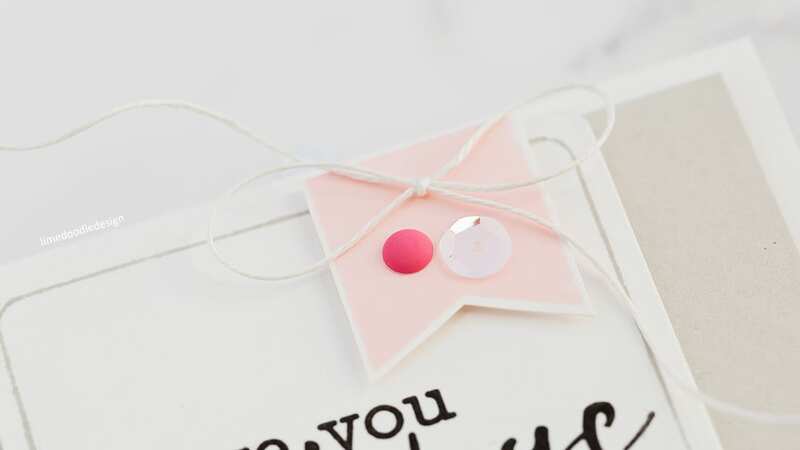 That and a cute tag and the journaling card from the Journal Card Builder set makes a great tag focal point. 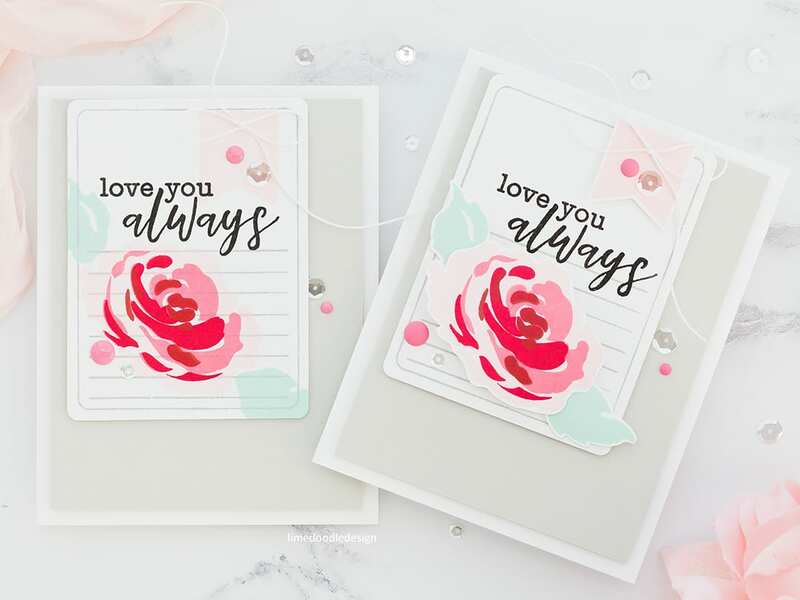 I have a video below showing how I used the same design to create two cards, this first one stamps all the elements as one layer and further down this post the second card has more dimension. 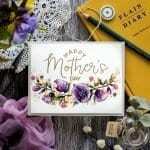 I started this card by stamping the journaling card in Silver Stone ink, the flower in Frosty Pink, Coral Berry, Ruby Red and Grapevine inks and the leaves in Mountain Mist ink. 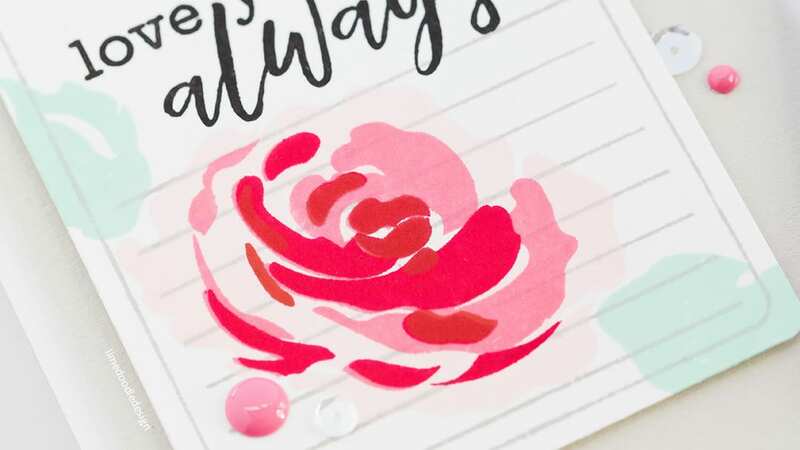 I also stamped a tag at the top of the journaling card in Frosty Pink ink, and then a sentiment from the Story Of Us set overlapping and stamped in Versafine Onyx Black ink. For the second card, I stamped all the elements in the same colours, but I stamped the flower, leaves, and tag on a separate piece of card and trimmed out before adhering with foam adhesive. 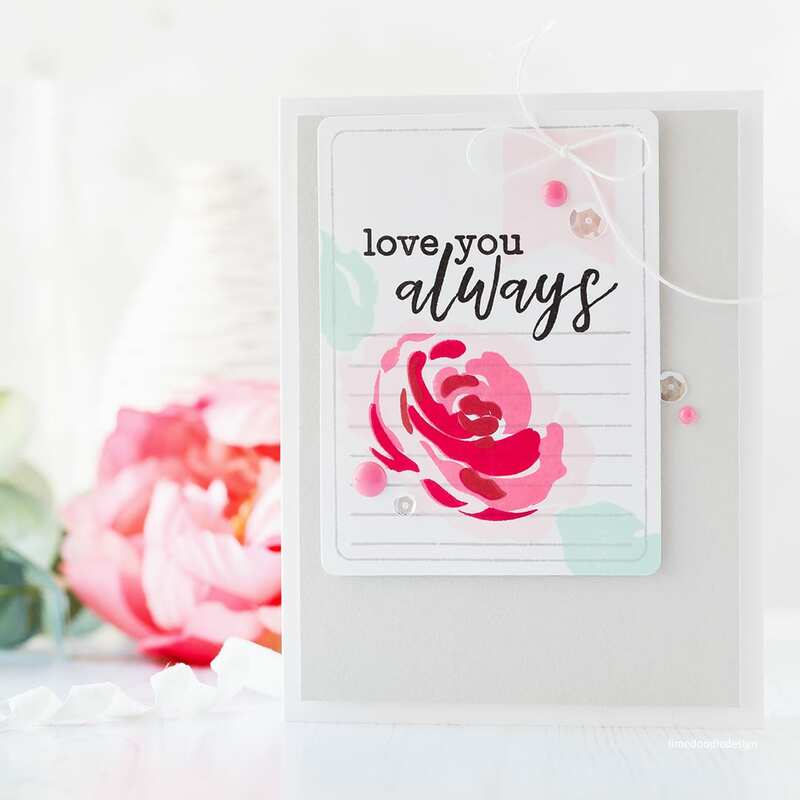 I love how the elements of the first card blend to give a cohesive look, but equally, I love the dimension of this second card. Which one is your favourite? In each case, I added the journaling card to the top left of a panel of Pale Gray card and on to a white A2, side folding card base before accenting with enamel dots, a twine bow, and sequins. 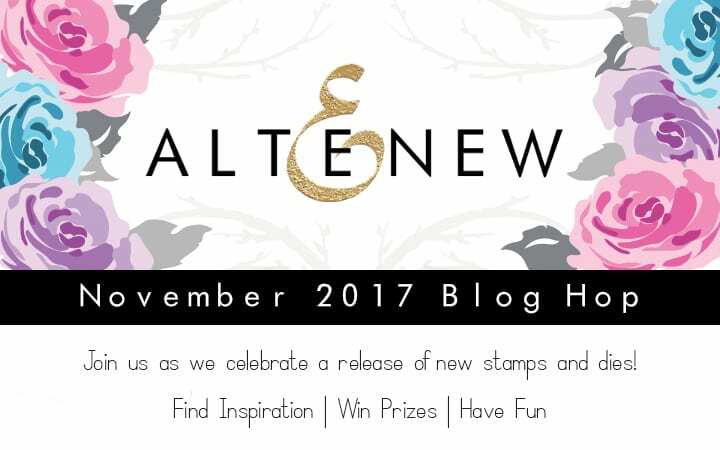 As mentioned above, this post is part of a blog hop to celebrate the latest Altenew release. 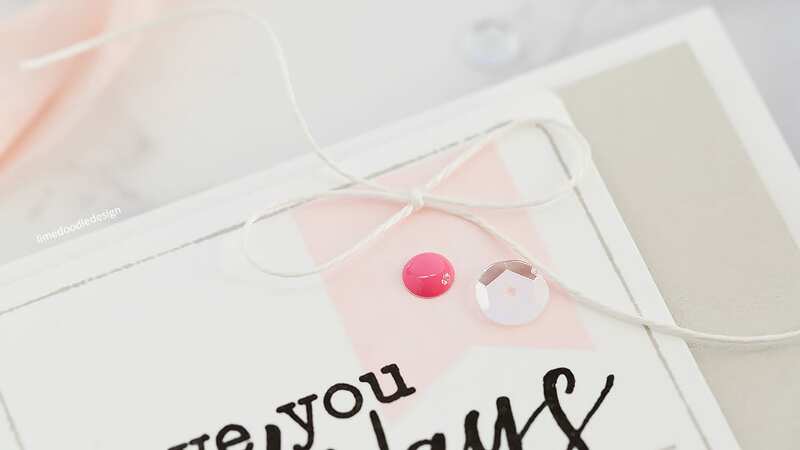 Hopefully, you’ve arrived here from Vicky Papaioannou, but if not then a good place to start is the Altenew Scrapbook Blog. As with any good hop, there are prizes! Also, I have a $30 gift certificate to give away from comments left on this post. Please leave a comment by November 14th 11.59pm EST. As always, such lovely cards! 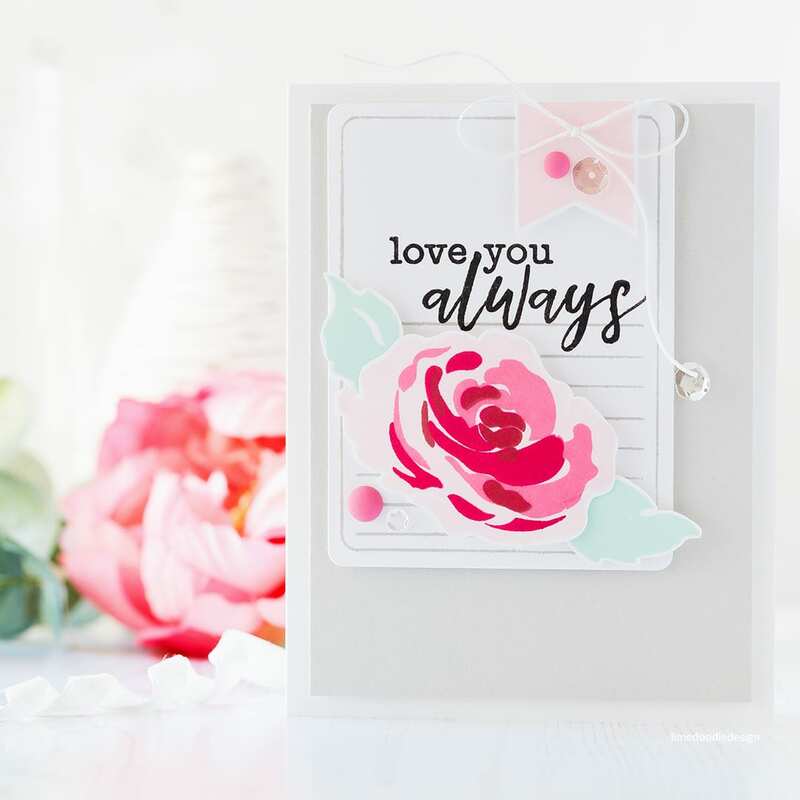 Love your journal card. Beautiful colors. So pretty – love the colors of the rose. There are so many beautiful things in this release. Such a cute card.